An adorable pup has become the first dog to be dumped in 2018 after its owner bought him online and then became homeless. 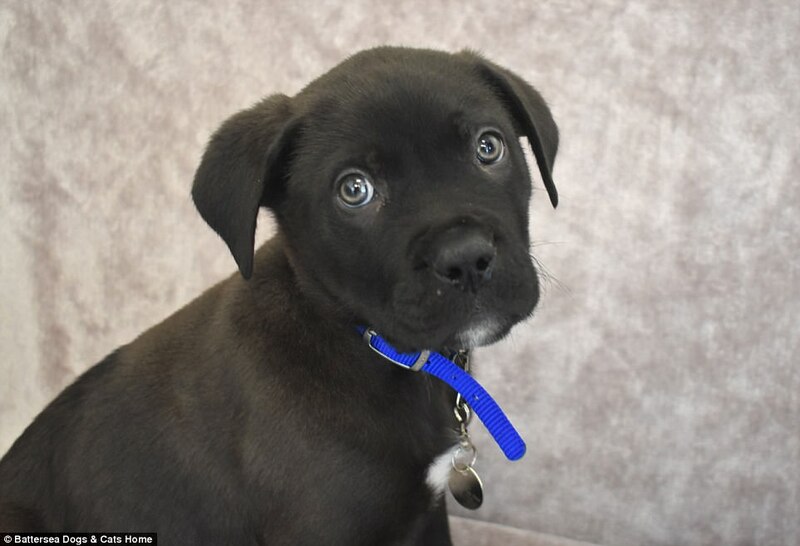 Eight-week-old mongrel Ronnie was left at Battersea Dogs and Cats Home in south London on January 2 after he was given as a Christmas present. 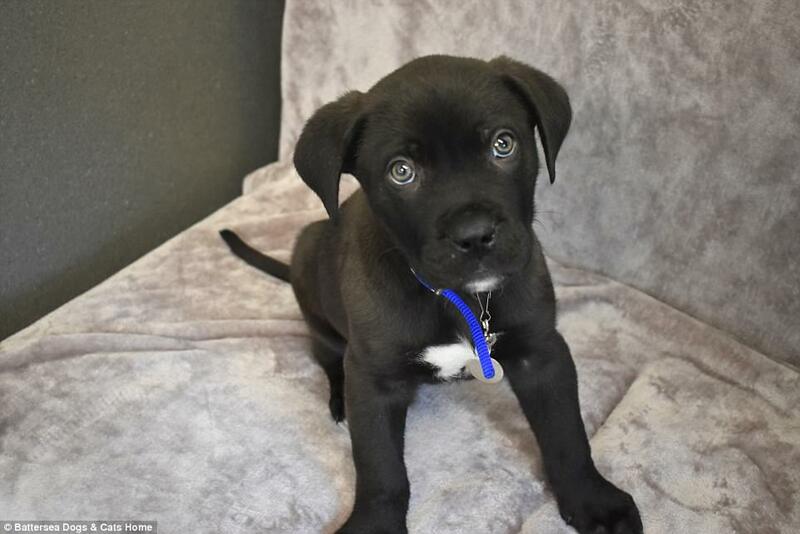 The poor pup became the first unwanted pet to be dropped off at the rescue so far this year, after his owner lost their home and was unable to look after him. 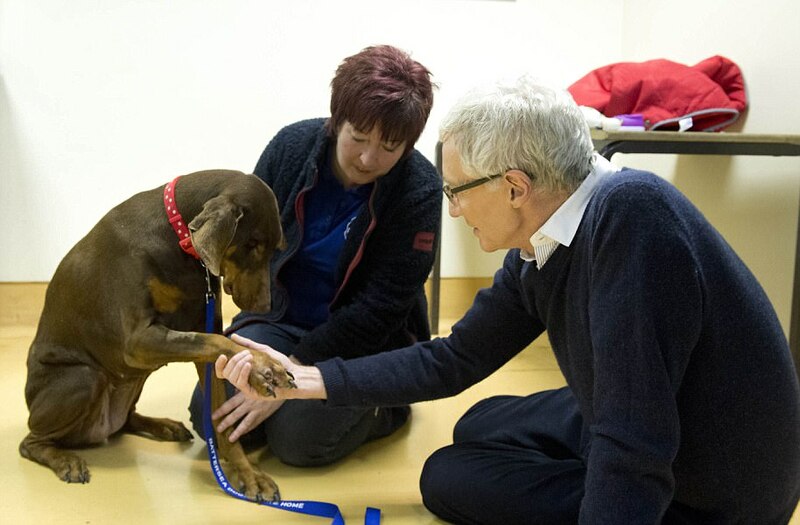 Ronnie is undergoing medical checks, with Battersea telling MailOnline that the pup is currently staying with staff member Alice Holt, but could be ready for rehoming by next week. She told MailOnline: 'Ronnie has only been at home with me for one night but he is settling in so well. Home intake manager Steven Craddock said: 'It doesn't shock any of us that the first dog through our doors in 2018 was bought online. 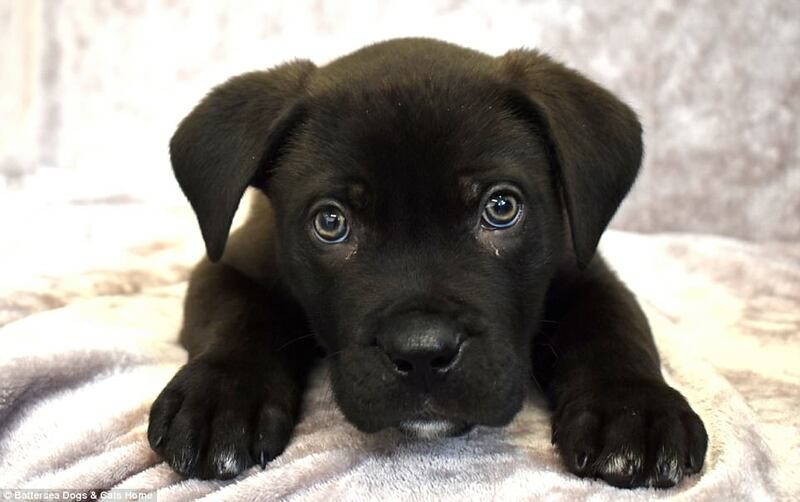 'Ronnie is just one of many thousands of dogs who will be bought off an unregulated website in the coming months and end up in a home where the owner is unprepared and unable to take proper care of them. 'His new owner did the right thing by bringing him into us where we can look after him and find him a loving new home, which we doubt will take long as he's such a lovely boy. 'However, this doesn't change the fact that he never should have been sold online in the first place. 'We believe he may have been taken from his mother far too young and likely sold by a breeder with absolutely no regard for his welfare. It comes as Battersea launched their In From The Cold fundraising campaign in order to help stray pets this winter. Over 20,000 pets in the UK will be abandoned over the course of this winter, with Battersea Dogs and Cats Home looking after 550 dogs at any given time. Ronnie is now undergoing assessment at Battersea and will be vaccinated and microchipped before he is ready to go to a loving new home. 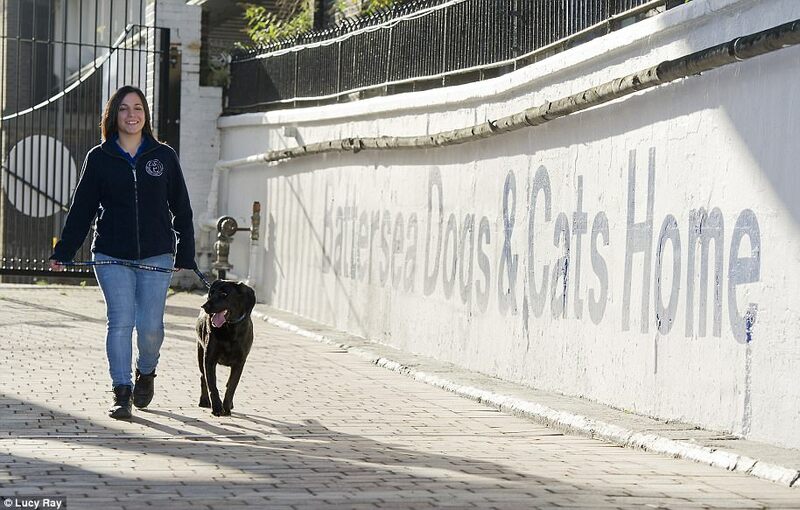 Dogs and cats walk in and out of the Battersea centre everyday, with 2018 proving to be yet another busy for the team in south London. In fact, 899 Staffies alone were left at Battersea in 2016 - 53 per cent more than the next most left breed, mongrels, at 425. Since New Year's Day, the Battersea team have welcomed four more additions - one of which is the young pup Ronnie. Charlotte, a British Shorthair, was the first cat to arrive at the London Battersea site on New Year’s Day. 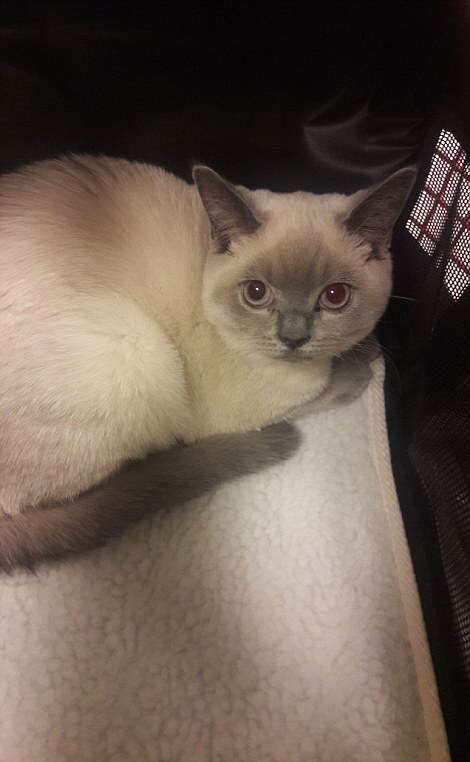 The 5-month-old was sadly being advertised for free online until her owners bought her to the animal shelter. 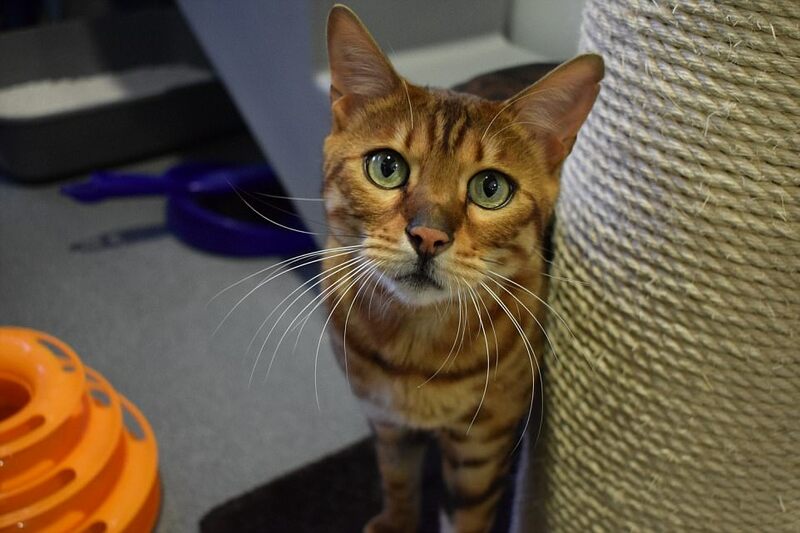 Buddy Bear, a Bengal cat,arrived at the London Battersea site the next day, after his owner could no longer look after him due to having a baby. 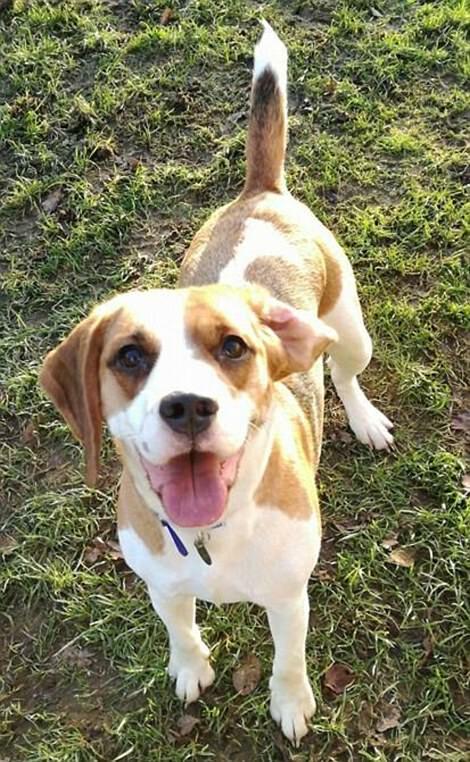 And then there is Lexi, a three-year-old Beagle which arrived at Battersea's sister site in Brands Hatch on Wednesday. His owners separated and could no longer find the time to look after him. He is is undergoing assessment and medical checks before finding a new home. Finding the perfect owners for dogs at Battersea Dogs and Cats Home is just like running a dating agency, with computer profiling used to matchmake happy-ever-after relationships. In order to take a pet home, Battersea first insists that potential owners register their details, including proof of ID and address. The team then might ask to carry out a home visit, for example if it wants to check the house has a garden big enough to accommodate an energetic dog. After this stage is completed, potential owners are finally allowed to suggest taking on a particular dog. The rehoming team will then look to see if the person's file matches that of the pet's personality. If the match is deemed successful, a meet can be arranged. Battersea insists that all members of a household including any other pets, attend the meeting, to make sure that everyone who would be living with the animal is comfortable. At this point, the team may invite the family to pay a rehoming fee of £135, over £165 for puppies under six months.